Justin finished his championship under 2 years of age. He is sired by Champion Refinne Scene Selection (Simon) and his dam is Champion Bar-None's Style and Grace (Harlowe). 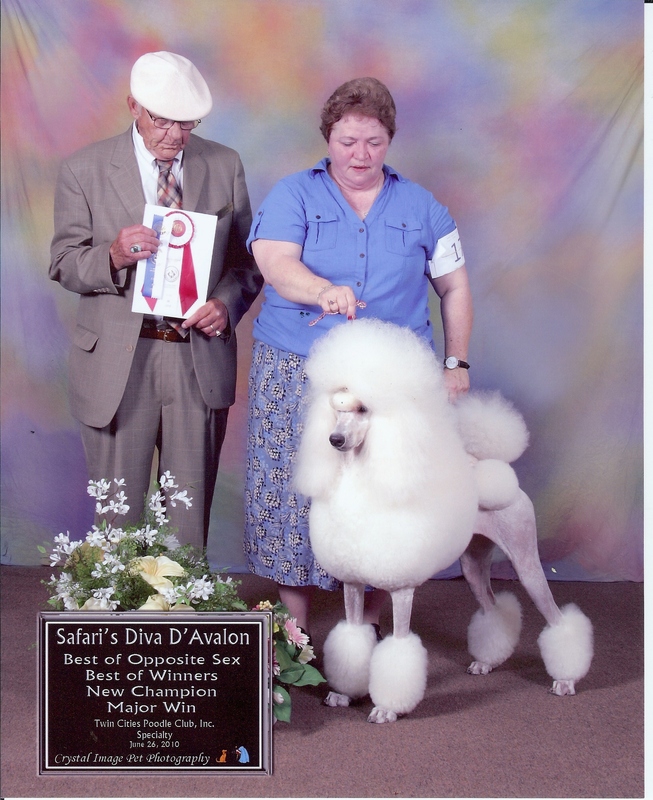 He was co-bred with Nancy Wilson of Bar-None Poodles from Robstown, Texas. Justin was expertly handled by Terri Meyers. 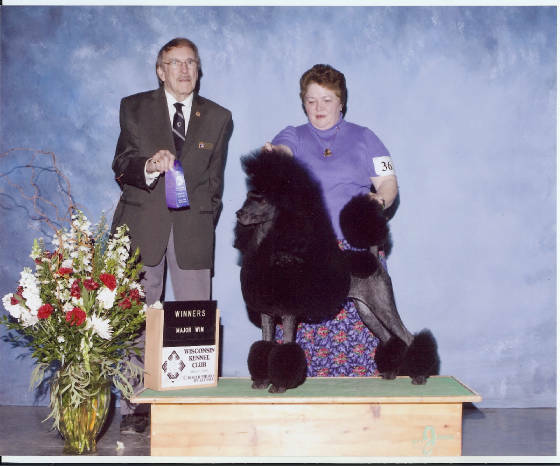 Justin loved being a show dog. Justin is blue in color, although of the darkest shade. Blaze is one of the sweetest dogs we own. She likes to hold her leash and walk you, although she never insisted on it in the show ring. She also likes to very gently hold your hand in your mouth. She is sired by Champion Lemerle Carrington Azure Az Is (Aaron) and our Pinafore Peach Cobbler (Crystal). Blaze was shown to her Championship by Professional handler Terri Meyers, Bobby Kopps and Lindsay Peterson. Blaze is also blue in color. 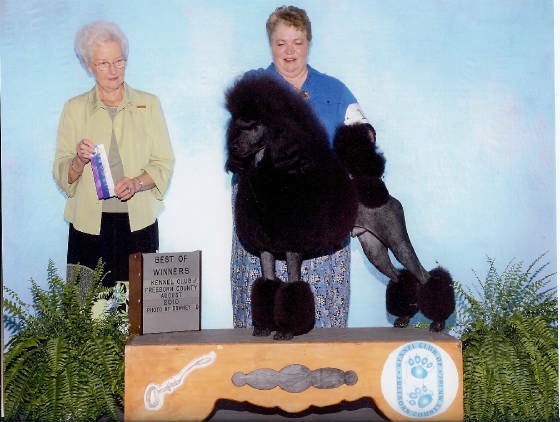 Halle was shown to her championship by Bobby Kopps and professional handler Terri Meyers. Bobby did her early training, and had shown her to 12 points including her first major. Terri is shown with Halle as she picked up her final major. Halle was bred by Safari Poodles. Halle is now owned by Joe and Beth Testa of Madison, Wisconsin. Halle may be seen at the "Pink Poodle" a retail store in Madison.